Something embarrassing is going on under the very nose of President Muhammadu Buhari. There seems to be a well orchestrated and audaciously executed scheme by some fifth columnists who have ascended key and strategic positions in some federal establishments and agencies to portray this government as susceptible to the very corruption it is ferociously fighting. I am referring to the rising and discriminatory culture of secret recruitment that is going on unabated in federal government agencies. When the media broke the news of the illegal, immoral and selective recruitment by the Central Bank of Nigeria (CBN), some of us who are mindful of the historical significance of Buhari’s 2015 electoral victory had expected the president to immediately investigate the claims and appropriate sanctions against the Governor and other management staff of the CBN found to have taken part in the fraud. Till date, there has been no whisper from the presidency on the secret recruitment by the CBN. Even if the recruitment exercise was concluded before the inception of the present dispensation, president Buhari has both moral and a legal mandate to revisit it and correct all recognisable anomalies. As if that was not enough, the Federal Inland Revenue Service (FIRS) recently carried out an inexplicable secret recruitment of 349 privileged Nigerians, including 5 new directors, with atavistic impunity. Again, the presidency has remained reticent. 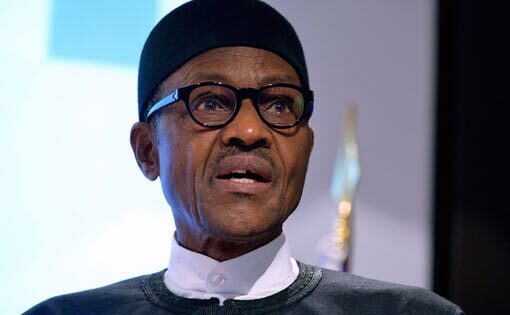 President Buhari has not deemed it pertinent to publicly respond to the scandalous recruitment by the Executive Chairman of the FIRS – a recent appointee of the president. The common feature in these clandestine recruitments is that they are based on the apartheid policy of exclusion, discrimination, favouritism, nepotism and corruption. According to Sahara Reporters, the list of candidates secretly recruited by the CBN, included President Buhari’s nephew, former Vice President Atiku Abubakar’s daughter, Minister of State for Petroleum Resources, Ibe Kachikwu’s son, and former Speaker of the House of Representatives, Ghali Na’aba’s daughter. Others are Nigeria’s Police Inspector-General, Solomon Arase’s daughter, and Minister of Internal Affairs, Abdulrahman Danbazzau’s son, among others. This clearly shows that the children, relatives and associates of politicians, public office holders and influential members of the society were given precedence in recruitments by these agencies. In an attempt to assuage public anger, the CBN’s Acting Director of Corporate Communications, Isaac Okorafor, told an online newspaper, Premium Times, that the bank did nothing illegal or wrong in hiring without advertising. “In the last two years, we have had cause to recruit specialists, and what the law says is that if we are going for that kind of recruitment we should apply for waiver, so that we can do targeted recruitment,” Mr. Okoroafor said. He said the bank obtained waiver from the Federal Character Commission. “The other issue is that there are states that are not well represented (in the CBN), and in this case we focus on those states to recruits (sic) people of certain classes that we used to cover the shortfall in those states,” Mr. Okoroafor said. However, Mr Okorafor failed to cite relevant provisions of the law that empowered the CBN to secretly recruit 909 privileged Nigerians without advertisement over a period of two years. What does the CBN mean by “targeted recruitment”? Who were the targets, and what criteria were applied? How come that the list of those recruited is littered with the names of children, relatives and associates of notable figures in the country? The presence of those names has greatly discredited the surreal defence advanced by the CBN. The bank also claimed that it carried out secret recruitment to cater for States that had a shortfall in the bank’s workforce in line with the principle of federal character. Again, material facts have not been presented to buttress this submission. Supposing without conceding that the CBN was guided by the need to satisfy the principle of federal character, does that give the bank the leverage to exclude underprivileged and disadvantaged Nigerians who have no influential figures to recommend them to the CBN? According to Sahara Reporters, the Federal Character Commission has denied knowledge of any waiver that permitted the bank to recruit secretly. The Federal Character Commission Regulations, 2008, expressly states that recruitment into government offices shall be advertised in at least two national newspapers giving qualified Nigerians a minimum of six weeks to apply. This mandatory procedure was not followed by the CBN and the FIRS. It is beyond dispute that the secret recruitments were primarily based on ‘connections’ (“man know man”) and recommendations from a cabal whose membership have arrogantly and offensively ascribed greater stakes in the Nigerian project and resources to themselves. It is highly probable that other government agencies are equally recruiting secretly without the imprimatur of the public and the media. If notable agencies like the CBN and the FIRS can do it, then what stops others from doing it? What does this say about the integrity and anti-corruption mantra of this government? Is this not a manifestation of the very corruption that Buhari vowed to confront and crush? Can someone honestly tell me that president Buhari is oblivious of the scandalous recruitments that are going on under his watch? Why has the president not taken disciplinary actions against Messrs. Godwin Emefiele and Babatunde Fowler? Is this the change that we supported and voted for? Why should recruitment into government agencies be carried out without advertisement and due process under a Buhari’s presidency? It is very regrettable that while the government is soliciting the understanding and cooperation of the citizens over the prevailing harsh economic situation in the country, the ruling elites and their relatives, surrogates and acomplices are conveniently appropriating our collective patrimony to themselves. The rich and the underprivileged should be given equal opportunity in every recruitment. Nigerians should not be required to establish their biological, political, ethnic, religious or social ties and affinities with the president, vice president, governors, National Assembly members, ministers, first class traditional rulers or any other influential personality before they are fairly considered for employment in government agencies funded with tax payers money. President Buhari should fight this corruption and redress the wrongs that have been done to the vast majority of eligible Nigerians who were deliberately relegated and sidelined in the secret recruitments.